Charging protocols and standards are fuelling an ever evolving debate in the electric vehicle industry. Some are calling for a global standard, while others are just fine with multiple infrastructure efforts using different adapters. Where does Tesla fit in this debate? 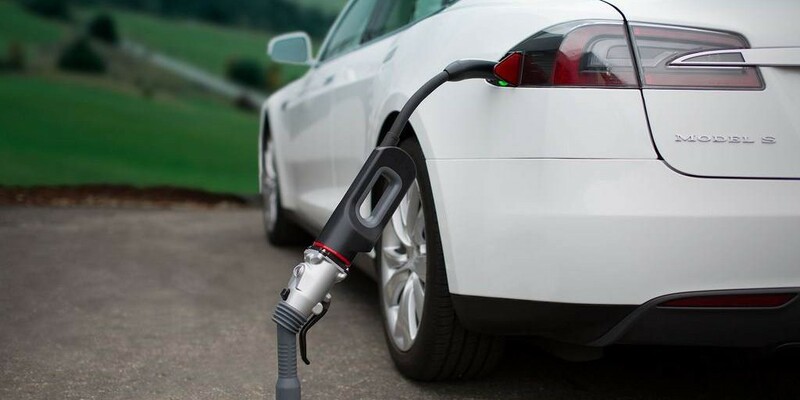 The company has been developing its own charging infrastructure called “Superchargers“, while offering a range of adapters to let Tesla owners use other charging networks. After the publication of a new patent application today, we learn that Tesla is working on an inter-protocol charging adapter capable of supporting both CHAdeMO and SAE J1772. Based on its open-source patent pledge made last year, the company applies for patents only to protect itself against potential attempts at blocking its technology, while promising not to sue anyone using its patented electric vehicle technology in good faith. An inter-protocol charging adapter for equipment to be charged via a bus includes: first connectors corresponding to a first charging protocol that requires the bus to be energized before the equipment closes onto the bus; second connectors corresponding to a second charging protocol that does not energize the bus before the equipment closes onto the bus; and a boost converter coupled to the bus and to at least one of the second connectors, wherein the boost converter uses energy from the second connector to energize the bus before the equipment closes onto the bus. As the inventors describes in the application, much like Tesla’s own protocol, the SAE J1772 standard specifies that the bus must be energized by the time the contactors close onto the bus. While on the other hand, CHAdeMO expects the bus to be non-energized. Tesla’s adapter would be able to support both standard and trigger a “boost converter” to energize the bus. You can see the full patent application here. He also said that the company plans to add the European standard plug at its Supercharger stations in Europe so that other electric manufacturers will be able to offer access without having to use a Tesla adapter. Last year, Musk confirmed that Tesla was in talks with “some [auto] manufacturers” to share the Supercharger network, but without specifying which automakers.